Annamoe Centre plays host to a special Halloween Chéilí on Friday 1st of November at 8pm. This is a night for all the family with fancy dress optional! No previous experience of dancing required. Come along to join the fun. Roundwood Variety Group is hosting a Christmas cookery demonstration with the well known Wicklow chef, Catherine Fulvio & a Christmas artisan food & craft fair in The Royal Hotel in Bray on Wednesday 20th November. Tickets will be €20 & will be on sale in The Royal Hotel in Bray, Justines Shop, Roundwood or by contacting 086 2451829 or can be purchased from any committee member. This promises to be a great night, not to be missed. Fun Bingo will take place on Sunday 3rd November in the Parish Hall at 3pm. Family members and friends are more than welcome to attend. €5 per book and great raffle prizes. Come along and enjoy. A reminder that the Active Retirement Lunch club will take place on Friday 8th November in The Royal Hotel, Glendalough. Our Annual Mass of Remembrance – Service of Light will be on Saturday 2nd November at 6.30pm. This mass is for parishioners who died in the past year and whose funerals took place from either Roundwood or MoneystownChurch. Following on the successes of the Vartry, Knockatemple and Oldtown Derralossary Pure Miles entries are being sought from areas to take part in the Pure Mile Competition 2014. The competition aims to foster a greater appreciation and awareness of our country roads by rewarding and acknowledging local community efforts. This is achieved through keeping a mile stretch of road and its adjacent area litter free, while carefully maintaining the ditches and any other natural or man made features. Improve Your Gaeilge – Maybe you want to be able to help your child/grandchild with their ‘obair baile’ or simply be able to understand the ‘nuacht’ or weather on TG4. If so you might wish to join An Tochar GAA’s Gaeilge conversation classes this autumn. Eileen Patterson will be hosting and has already started on Tuesday nights in Aras an Tochar at 7.30pm. This year our parish sale of work will take place on Sunday 1st December 12-4pm. We would be delighted to have everyone who usually helps us out with the sale on or before the day to help us out again this year. Last year we had some new attractions and it would be great if we could add to that this year. If you have any ideas or would just like to help out in any way please call Caroline Sillery on 086 1714973. Our next committee meeting will take place in the Parish Centre on Monday 11th November at 7pm. The next whist will be on Wednesday 30th October. Club AGM – Thursday 7th November 2013. 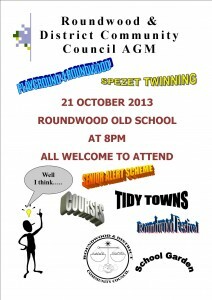 We will hold our Club AGM at 8pm on Thursday 7th November 2013 in the Old School, Roundwood. The club needs ongoing support from parents, coaches and adult athletes to improve and develop. Come along to have your say and hear about the plans for 2014. Looking for something different to do on a Tuesday morning after you have dropped the children to school? Why not come and join us for an hour of Badminton in Aras an Tochar from 9.30am started back on Tuesday 1st October 2013. All are welcome including Total beginners – no need to go out and purchase a racket as there is a few available to try out. The new opening hours for Roundwood Market as and from Sunday 27th October, will be 12noon till 4pm. We will be open every Sunday until 22nd December when we will be closing at 3pm. Please note the new closing time. Come for your homemade Christmas Cakes, puddings, jams, crafts, wreaths, and lots more. New members are always welcome. There was no winner of last weeks lotto. The numbers drawn were 11, 19, 22 & 28 There were six match three winners Myles Byrne, Timmy Waren, Anne Miller, Tommy Keeley, P.J. Turner & Denis Kenna. Next weeks jackpot will be €14,000. Calling all would be, could be and should be SET DANCERS. We have been plodding away at our weekly set dancing sessions every Thursday night in Kavanagh’s Lounge but we now need your help. Thanks to the loyal support of our musicians, we still have live music every night with the exception of one night per month. However due to fall in numbers, we cannot continue without your support. If you think you would like to try this we are giving lessons from 8.30pm before the session starts at 9pm so please feel free to join us. This entry was posted in News & Events on October 30, 2013 by roundwoodiewicklow. Roundwood Variety Group is hosting a Christmas cookery demonstration with the well known Wicklow chef, Catherine Fulvio & a Christmas artisan food & craft fair in The Royal Hotel in Bray on Wednesday 20th November. Tickets will be €20 & will be on sale in The Royal Hotel in Bray or by contacting 086 2451829 or can be purchased from any committee member. This promises to be a great night, not to be missed. The results of the whist in aid of the Senior Citizens is as follows:- Top Score: Tom McHugh; Top Gent: Pat Fisher; Second Gent: Ann Gaffney; Top Lady: Ann Wolohan; Second Lady: Molly Byrne; First Half: Kitty Kennedy & Richie Cullen (shared); Second Half: Ann Pierce; Lowest Score: Joe Coleman & Longest Sitting: Maura McHugh. Raffle prizes were won by Ann Gaffney, Joe Coleman, May Kenna & Tom McHugh. The next whist will be on Wednesday 31st October. The new opening hours for Roundwood Market as and from Sunday 27th October will be 12noon till 4pm. We will be open every Sunday until 22nd December when we will be closing at 3pm. Please note the new closing time. Come for your homemade Christmas Cakes, puddings, jams, crafts, wreaths, and lots more. New members are always welcome. There was no winner of last week’s lotto. The numbers drawn were 2, 10, 15 & 24. There were six match three winners Tiernan Kavanagh, C & M Brierton, Niamh Kinlan, Helen Kinsella, Fiona Fanning & Betty Kenny. Next weeks jackpot will be €13,700. Calling all would be, could be and should be SET DANCERS. We have been plodding away at our weekly set dancing sessions every Thursday night in Kavanagh’s Lounge but we now need your help. Thanks to the loyal support of our musicians, we still have live music every night with the exception of one night per month. However due to fall in numbers, we cannot continue without your support. If you think you would like to try this we are giving lessons from 8.30pm before the session starts at 9pm so please feel free to join us. This entry was posted in News & Events on October 21, 2013 by roundwoodiewicklow. 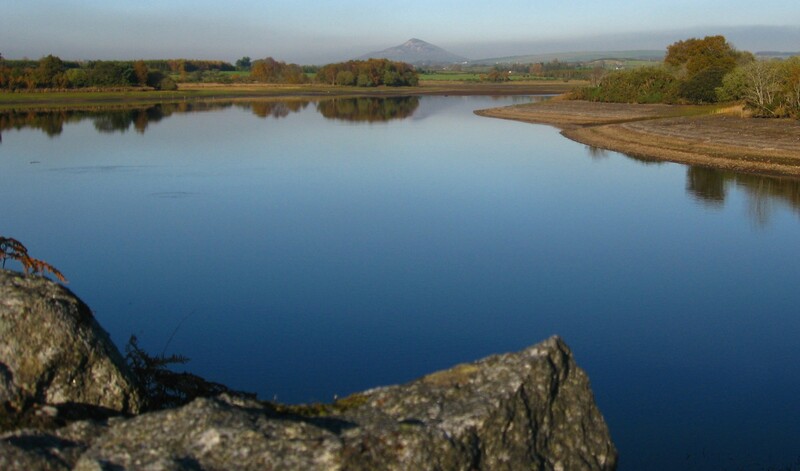 This entry was posted in News & Events on October 17, 2013 by roundwoodiewicklow.